﻿﻿ The New Homeowners Intro to Heating: Furnaces, Boilers & Ductless Heat Pumps, Oh My! The New Homeowners Intro to Heating: Furnaces, Boilers & Ductless Heat Pumps, Oh My! Congratulations! You’re a new homeowner. That’s a big exciting step in your life! You can paint the rooms any color you like or throw parties without bothering your downstairs neighbor! But as Uncle Ben wisely told Spiderman, “With great power comes great responsibility.” And one of the responsibilities of becoming a new homeowner is making sure your heating system is running efficiently and safely—especially in New England winters. For everyone who isn’t an HVAC professional, this can be a daunting task. So we put together the basics of heating for you so that you can confidently assess your new abode’s heating system. In the first part of this series, we’ll go over heating system types. First Things First: What Type of HVAC Do You Have? The first thing you need to know when buying or moving into a new home is: what type of heating/HVAC system do you have? You need to know the system type and fuel source (natural gas, oil, propane, etc.). More than half of homes in the United States use natural gas furnaces, so statistically you’re probably one of them. 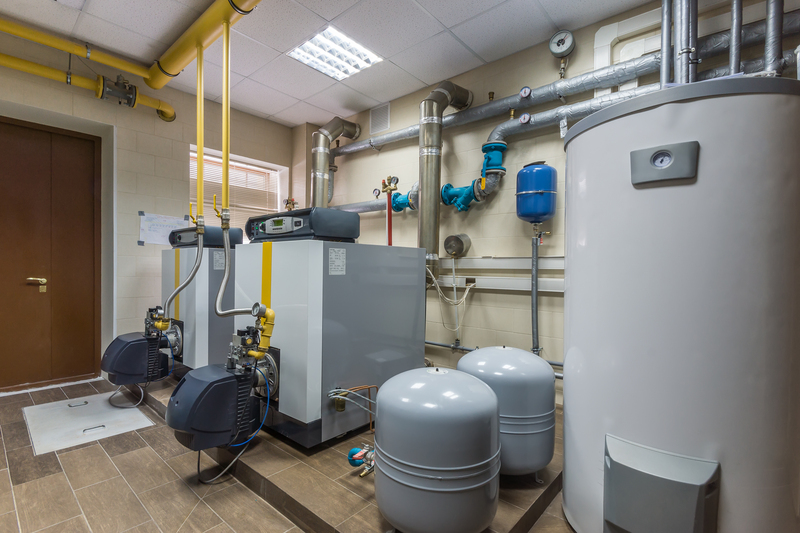 Furnaces can be fueled by natural gas, propane, heating oil or electricity. When the air in your home gets colder than your thermostat’s preset comfort level, electrical systems alert the furnace’s pilot light, which lights the furnace’s burner. This heats the air in the furnace’s chamber, which is then blown into your house through ducts and vents. They usually last 15 to 30 years and newer models are fairly inexpensive. 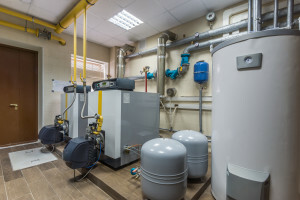 Boilers can be fueled by the same sources as furnaces. As the name suggests, boilers boil water. A boiler will boil water to create steam (which is lighter and hotter than water, so it’s more efficient to move). The steam moves through pipes and heats your house that way. They’re efficient because the water that returns to the boiler is still hot so it only needs to be reheated a little to turn back into steam. 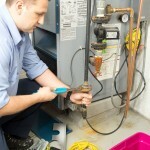 However, the pipes that boilers require can be expensive to install and maintain. They have the same lifespan as furnaces, up to 30 years. Heat pumps are a more modern way to heat your home. They’re usually powered by electricity. Heat pumps have 2 units—outdoor and indoor. 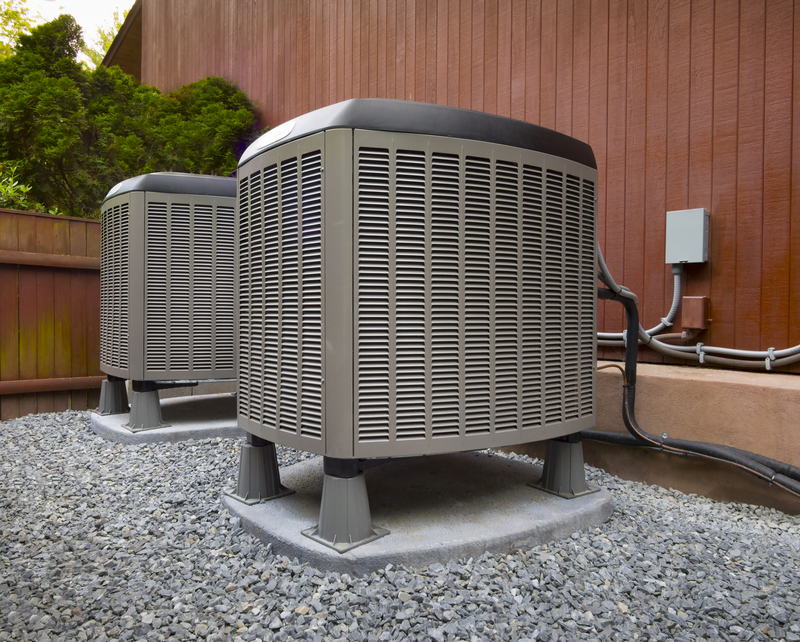 The outdoor unit is what we call the heat pump, and the indoor unit is called an air handler. Heat pumps are known for being energy efficient because they move air rather than generating hot or cold air. So when it’s cold outside your house, a heat pump takes the outside heat and moves it inside. When it’s hot in your house, the pump takes this heat and moves it outside. A ductless heat pump moves this air into your home through “heads” which are wall units installed throughout your house that disperse the hot or cold air. A heat pump should last you as much as 20 years. Still Can’t Quite Figure It Out? Still not 100% sure about what your new home uses for an HVAC system? No worries. Contact us at 401-533-3305, 774-284-3585 or email us, info@totalcomforthelp.com and we’d be happy to help. Once we figure out what you have installed, we can let you know what kind of shape it’s in and what, if any, maintenance you need to safely and cozily heat your home all winter. Call or Text 401-533-3302 / 774-284-3585 to schedule an inspection of your heating & air conditioning system. Disclaimer: Any type of service performed is one year warranty labor and parts. Any new install or replacement install of any HVAC equiment is up to 5 years labor warranty and up to 5 years part warranty.